I have one too many inflatables on board the boat. 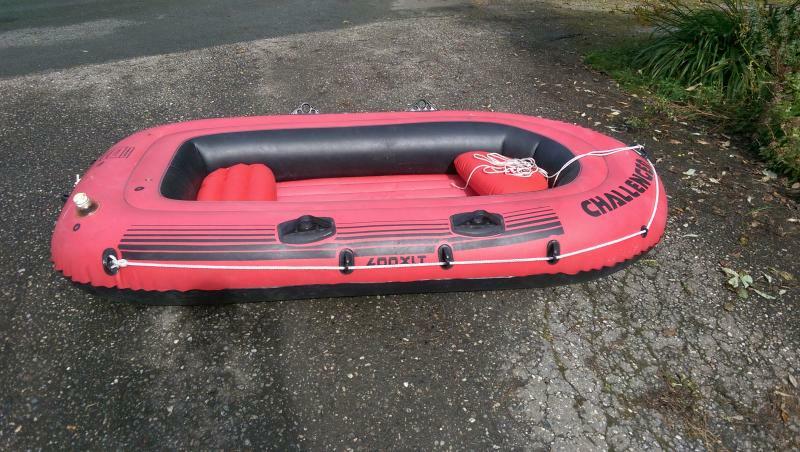 Selling an 8 foot Intex Challenger Model 400XLT inflatable raft, previous owner used as a dinghy. 24 gauge PVC hull, maximum capacity is 4 persons or 528 lbs. Photo attached. $50 includes oars and storage bag (total weight around 40 lbs., fits in a lazarette).